Nearly 100 miles of beautiful white-sand beaches with brilliant turquoise colored water are located just south of Cancun. 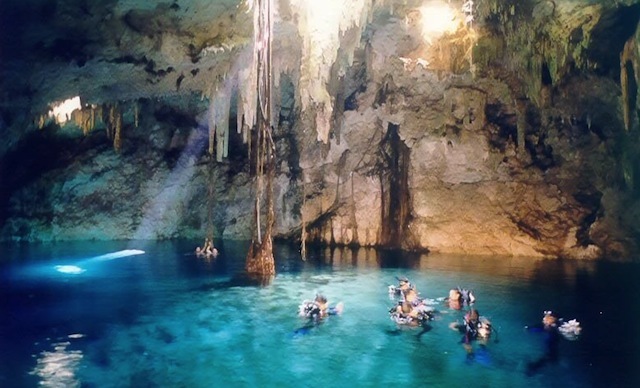 Called the Riviera Maya, located on the eastern portion of the Yucatán Peninsula, in the state of Quintana Roo, this world-renowned paradise offers mangroves and lagoons, ancient Mayan cities, ecological reserves and the world’s second largest coral reef, that allow visitors to experience the natural resources and amazing biodiversity of this beautiful region of Mexico. The dense jungle of the Yucatan in the south east of Mexico is a miracle of nature, a region in which the small amount of rain that falls quickly drains away into the limestone ground. Yet, overgrown by dense vegetation are the remains of an ancient civilization. Sixty five million years ago a catastrophe of global dimensions transformed the appearance of Planet Earth. A meteorite measuring several kilometers crashed just off what is now the Yucatan and created a crater measuring a hundred and eighty kilometers. 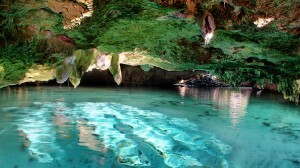 Today, within the jungle, this same area contains various entrances into an underwater world, the Cenotes Cave System. 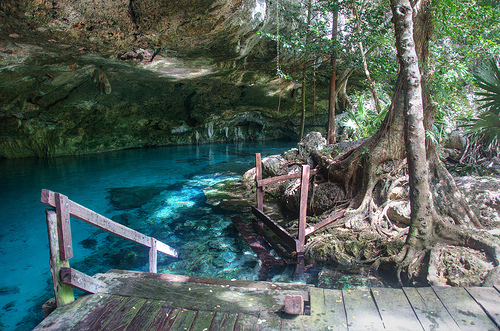 Experienced cave divers and archaeologists have explored the endless labyrinth and more than five hundred kilometers of the ground water flows of the Yucatan have now been mapped. But this represents only a tiny section of the largest flooded cave system on our planet and it’s renowned for being the best cavern and cave diving in the world. 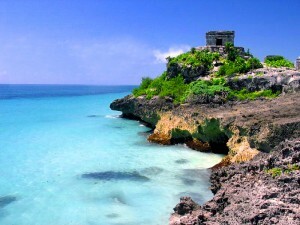 And reef diving in the Riviera Maya is great for snorkelers and all levels of divers. From migrating whale sharks in the north, turtles and bull sharks off the coast of Playa del Carmen, and an abundance of sea life and colorful coral all along the Riviera Maya coastline, you’ll love every minute of diving here.